Veterans from all military branches supported each other during the first Welcome Home Vietnam Veterans celebration, organized by Tulalip veteran marine Andy James. 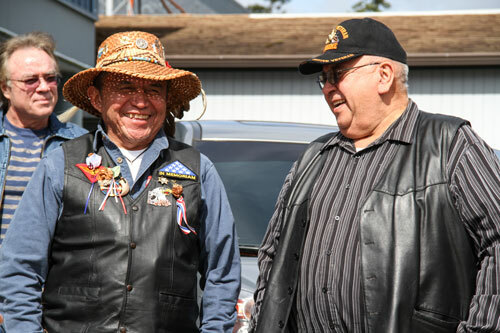 TULALIP – U.S. Vietnam veterans have been home for more than 40 years, but due to anti-war sentiment with the American public, returning soldiers quietly rejoined their communities without receiving a national welcome home. In 2011, the U.S. Senate, decided to change this. The Senate unanimously passed a resolution to provide Vietnam veterans a chance to be properly welcomed home by designating March 30, Welcome Home Vietnam Veterans Day. The designated day marks the final withdrawal of all combat and combat-support troops from Vietnam on March 29, 1973. Although veteran organizations across the nation have been celebrating the day since its passing, only three states, California, Oregon, and Washington, have recognized the day officially, including flying the POW/MIA flag in addition to the U.S. flag and state flags on all government buildings. Last year Governor Jay Inslee deemed March 30 for Washington State after Rep. Norm Jackson (Yakima) (R) introduced 2013 House Bill 1319 on January 23, 2013. The bill passed 97 to 0 in the House and again passed 48 to 0 in the Senate and was signed by Gov. Inslee on March 29, 2013. This year, Tulalip hosted their first annual Welcome Home Vietnam Veterans celebration in honor of their fellow veterans. 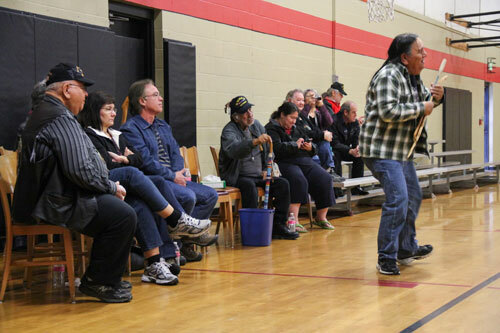 Attendees included tribal and non-tribal veterans who gathered at the Tulalip Boys & Girls Club to mark the official homecoming. 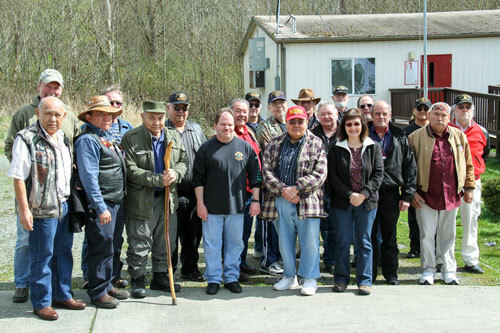 Tulalip veteran Andy James, pictured in cedar hat, served during the Vietnam Conflict with the Marines, organized the celebration. Tulalip veteran and tribal member Andy James, who served with the Marines during the Vietnam conflict, organized the event. “I am extremely thankful and grateful for my elders, particularly the ones who put on uniforms in defense of this country before I did. We have one here today that did,” said James, referring to Tulalip tribal member and Korean War veteran Ray Moses (Te-at-mus). 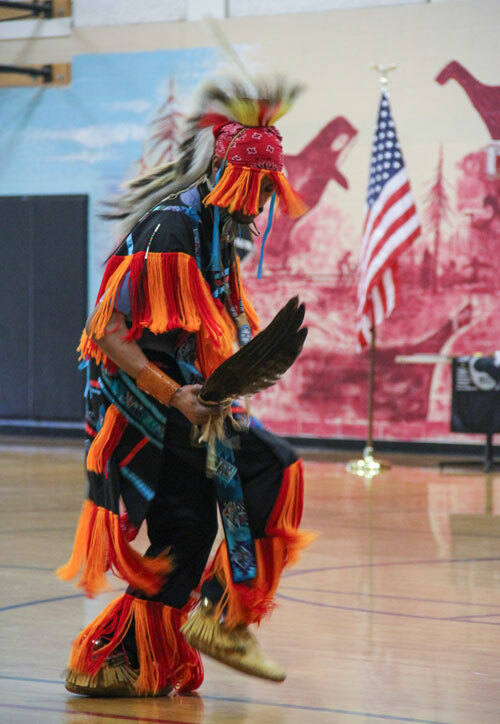 Traditional Southern Grass dancer Jeff Brown danced for visiting veterans during the Welcome Home Vietnam Veterans Day. This entry was posted in Local News, Tulalip News and tagged 2013 House Bill 1319, Gov. Inslee, Gov. Jay Inslee, Rep. Norm Jackson, Tulalip, Tulalip Boys & Girls Club, Tulalip tribal member, Tulalip Veterans, Veterans, Vietnam Veterans, Welcome Home Veterans Day by admin. Bookmark the permalink.